Home » Bristol Street Pockets. A project led by Bristol Green Capital Partnership, encourages communities to plan, coordinate and communicate ideas for their Street pocket. These street pockets can be a number of things from social areas for playing or sitting, art works, greenery (Trees flowers etc) or bicycle parking and are permanent installations. As these are essentially community planned and designed, they reflect the needs and or wants of the respective community. The community group submit an application and the partnership help them to test how the new space works for a fortnight after the trial(s) the partnership help to install successful Street Pockets permanently. 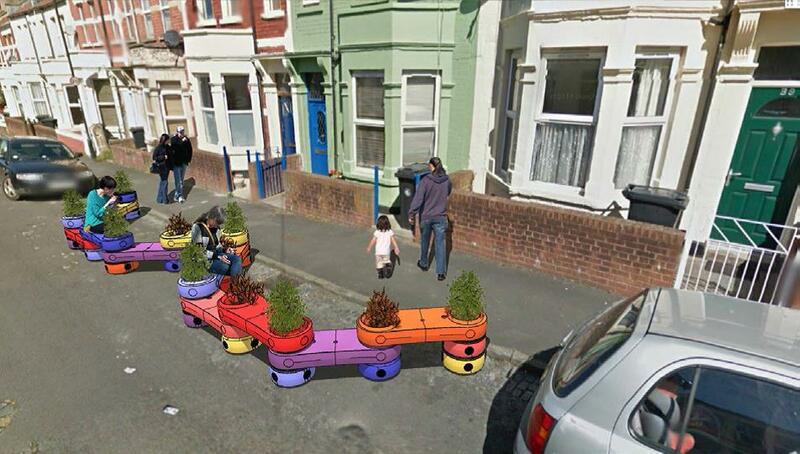 It is hoped street pockets will encourage interaction within communities, by changing the character of streets and remind passing traffic to slow down because this is a place that people live.